Getting comments on your blog is a great motivator to keep you going on with the long haul that is blogging. Just knowing that someone is out there, appreciating your work feels great, but not everyone is willing to comment or even has something to say. I wrote a while ago about 8 Proven Ways To Make Your Blog Popular 8 Proven Tips to Make Your WordPress Blog Popular 8 Proven Tips to Make Your WordPress Blog Popular Having trouble getting visitors to your WordPress blog? 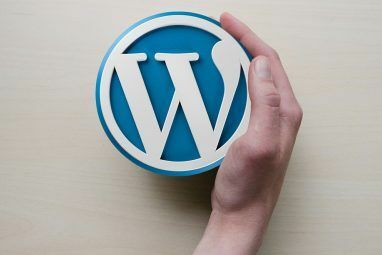 Here are our tips for making your WordPress blog more popular. Read More , but let’s take a look today at 3 ways to encourage users to comment on your blog through the clever use of plugins. One thing that puts me off commenting a lot of the time is having to type in my name and website relentlessly. I have something to say, but I don’t want to fill in the whole form – let me create some kind of a user account to remember who I am! I showed you how to do this with Janrain, which gives you a set of social buttons where users can log in with their social credentials to automatically create a local user account on your WordPress blog, but creating accounts within WordPress isn’t the only solution and not the best solution if you just want to use it for commenting. The Disqus comment system is a good alternative, which we use here at MakeUseOf. 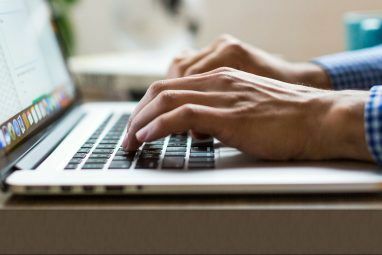 Disqus completely replaces the built-in WordPress comment form with its proprietary system, and instantly enables existing Disqus users to comment without creating an account, as well as making the process of creating a new account easy from within your blog. In fact, none of the accounts made through Disqus are stored locally in your WordPress database – but the comments themselves are. Disqus handles spam pretty well, so you don’t have to. With an account, users are able to keep track of any replies to comments they posted, something which WordPress doesn’t handle by default. All the comments are synced with WordPress, so if you ever decide to change back you won’t lose a thing. Users are presented with a variety of account creation and login options (including social) if they still want to be anonymous. Image previews and uploads – if users post a link to an image, a little preview is automatically pulled in. Uploads are also optional. @mentions: This is an incredible feature whereby you can “bring people in” to the conversation by mentioning them, even if they aren’t currently in there. This blog post explains it better. I’d recommend Disqus if you only want to create user accounts for commenting rather than taking user story submissions or such. The only downside is that it complicates any other commenting-related plugins, and customising the form display isn’t possible without a developer license – the basic system is 100% free though. Very simply, the CommentLuv plugin adds a link to the commenter’s latest blog post if they’ve left a website URL, so it’s certainly an effective way of getting more comments as users are always looking for some free self-promotion. The downside of this is that you might get a page full of mindless comments if you’re not careful, so make sure you’re as vigilant as ever marking those spammers. There’s even sites around dedicated to finding and sharing blogs that have dofollow CommentLuv links activated. CommentLuv works within WordPress, and is not compatible with a third party service like Disqus. There’s also a premium version about to be released soon, but as far as I can see it’s nothing worth getting if you’re only after the basic functionality of linking to a users latest blog post. Thank Me Later is a unique WordPress plugin that attempts to solve the problem of users commenting then never coming back. While it isn’t technically going to encourage new readers to comment, it will keep them there once they’ve started (hopefully). It automatically thanks commenters for participating on your blog, and can be easily customised with your own templates. After a pre-defined time since commenting, it will pick one of the templates you provided, and email the commenter. You can use this to encourage the commenter back to your blog, or perhaps take the opportunity to tell them about the RSS feed or your Twitter account – the possibilities are endless. While some might consider this spamming due to their automated nature, I think if you limited it to one email per visitor (there is this option) then you should be safe. You should also be able to use this plugin alongside Disqus, though I haven’t tested it in practice. Of course, another great way to encourage comments without using plugins at all is to just ask for it! Speaking of which….do you have any other tips for encouraging comments, with or without plugins? Let us know in the comments! 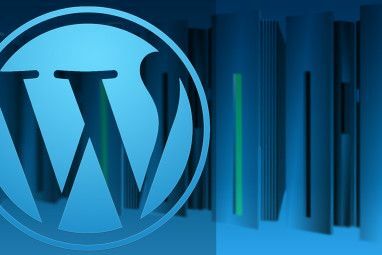 If you’re a beginner or pro blogger alike with the WordPress system, be sure to check out our growing archives of WordPress tutorials, and keep a look out for our upcoming Best of WordPress Plugins page, coming to a MakeUseOf near you very soon! Explore more about: Blogging, Online Commenting, Wordpress, Wordpress Plugins. nicely written post mate, i must say it's not the most common content you come across on blogging, great post. Nice post! !Would also like to add that giving options to readers like buttons saying:Good Post, Not very good,etc is also a good way of encouraging the readers to comment as then the readers would not have to type anything, it would just be a matter of one click. Another important fact is that the reader needs to be made feel important, his opinions do matter, we all know.Hence asking the reader to add onto the last point of your list posts might help. 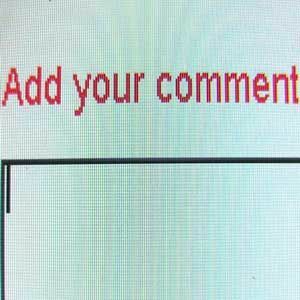 Organisng some kind of comment contests could also make commenting on posts more exciting and fun. I'm using Disqus system on my blog. What I've felt was readers are looking for that's 3 text boxes, name/email/website. Readers who have never know about Disqus system don't have idea where is it. If Disqus guys allow us to take that normal layout as default new readers get a feeling to comment on the post. We use Disqus as well and our comments have really exploded since moving to them. I also find myself only commenting on Disqus powered blogs these days. And I never ever even repeat visit a site that forces me to sign up to disqus - which I can't write and do not wish to be able to write so much I hate their obnoxious system! Contrary to what this post says. This post is 7 years old! Oh, and your comment system does not seem to work that well: I commented twice already, try now a third time, that's it. The last one, Thank Me Later, is the only one that I've not seen in one form or another. Good show! It's such a simple idea, but I think it's really effective at retaining one off users..